Beautiful fitted wardrobes and storage can add intrinsic value to a house. 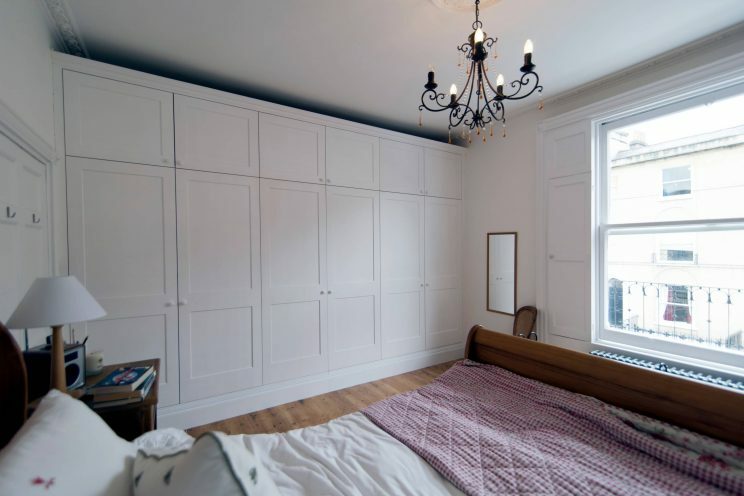 Bath Bespoke’s workshop manager Tom Suter led the team on this project. 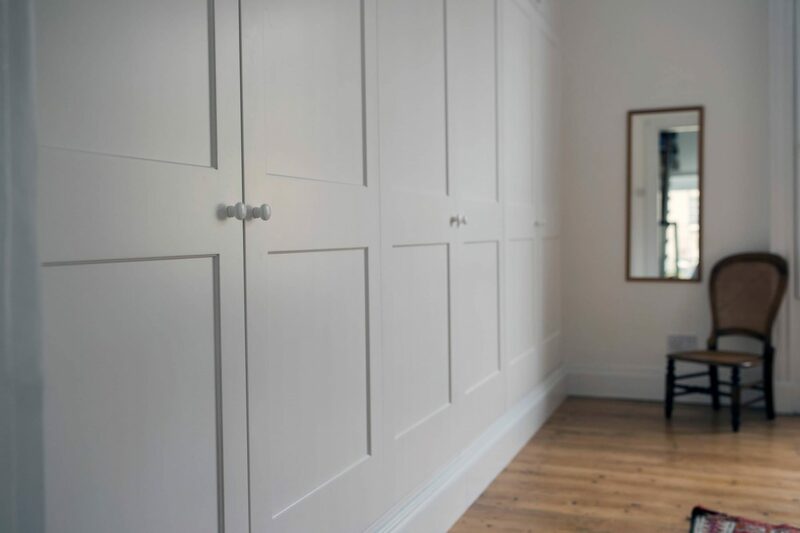 Our clients wanted new fitted white wardrobes in the master bedroom as well as a makeover of their home-office. 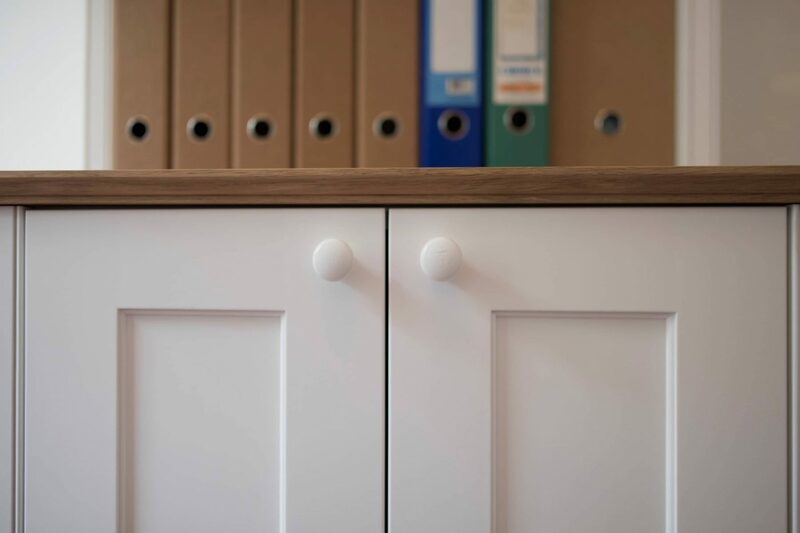 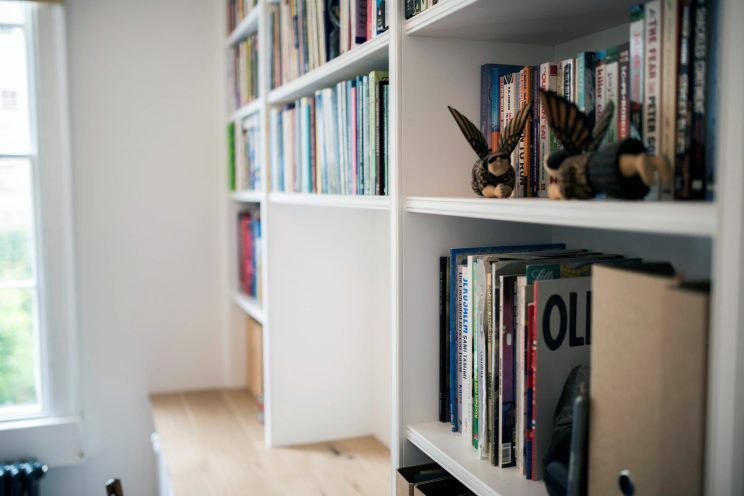 In the office we crafted new desks, bespoke bookshelves and white fitted cupboards to provide a neat storage area for all the family’s files and paperwork. 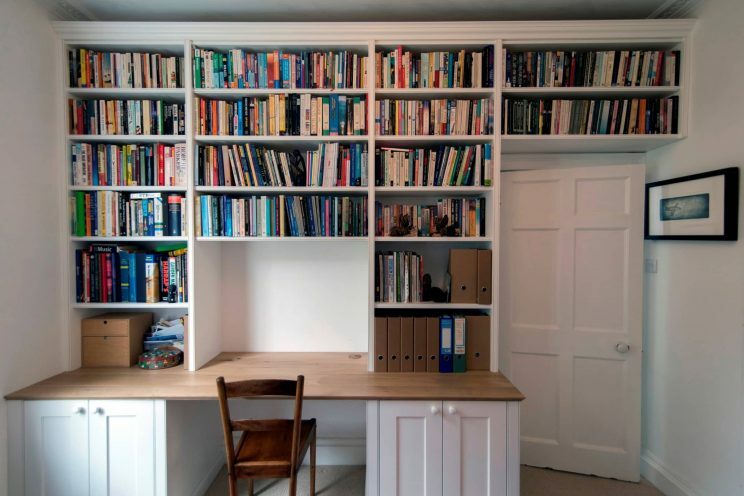 They also wanted to open up the space so that there was enough room to work side by side at the desk. The bookcase we designed and made for them has period style mouldings and utilises the lost space over the door. 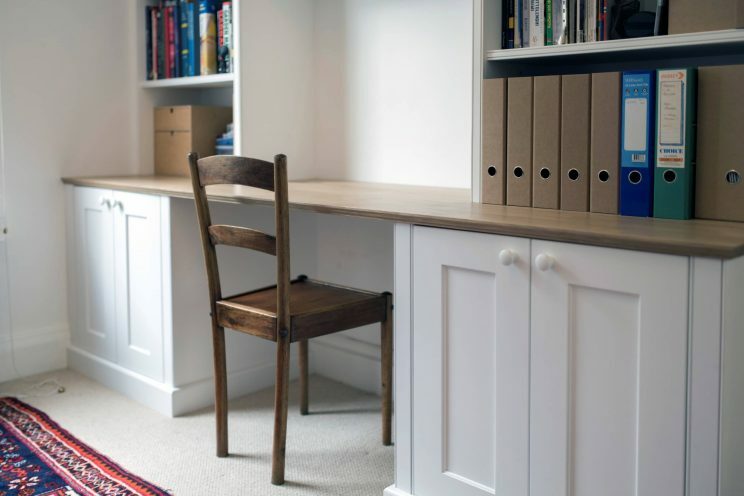 The wide, integral desk is finished with a beautiful handmade solid oak top, a designated slot to house the printer, and a neat solution to hide unsightly cabling and leads. In the master bedroom, we were tasked with creating fitted wardrobes to replace the freestanding wardrobes they had been using. 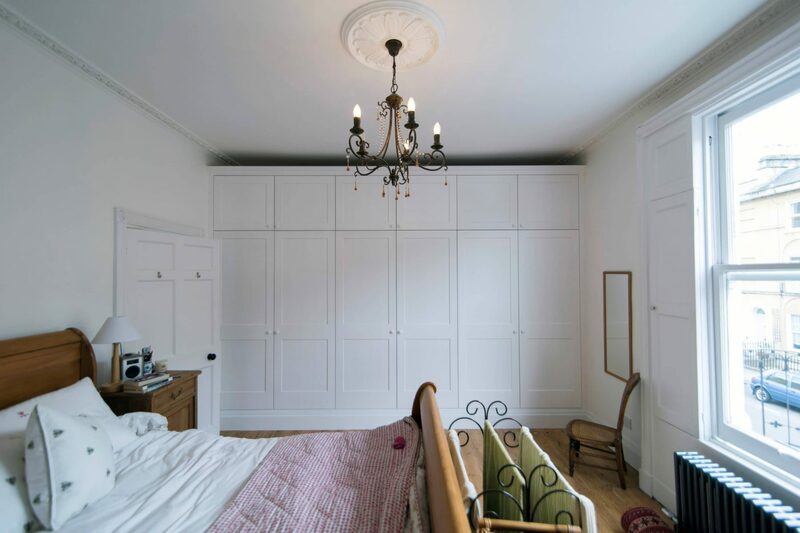 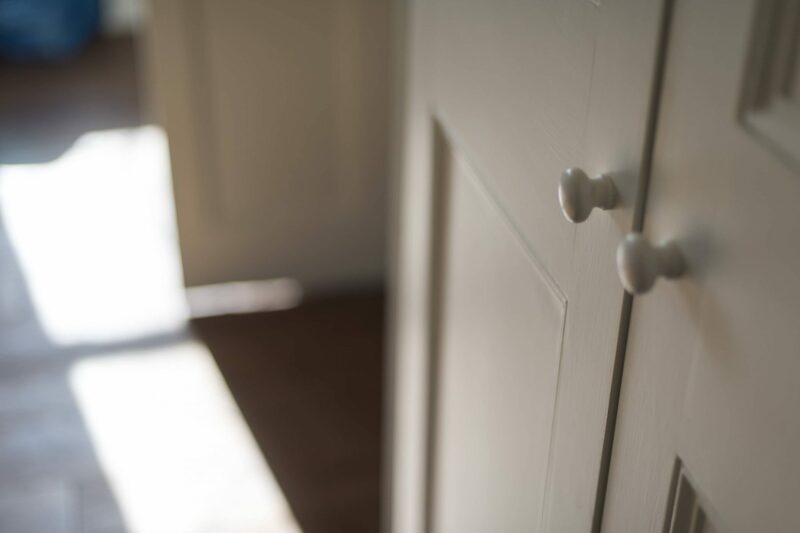 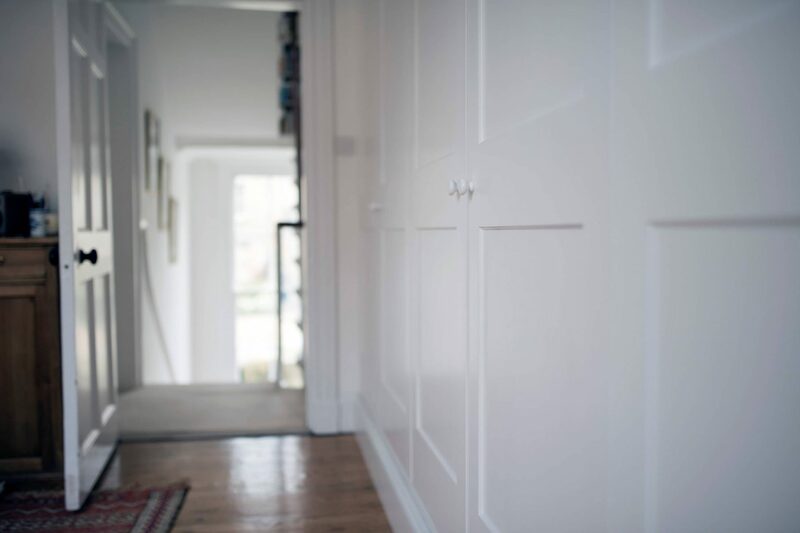 Beautiful fitted wardrobes and storage can add intrinsic value to a house, so we took great care to design doors that are in keeping with the elegant proportions of their Georgian home, with minimal detailing and fuss. 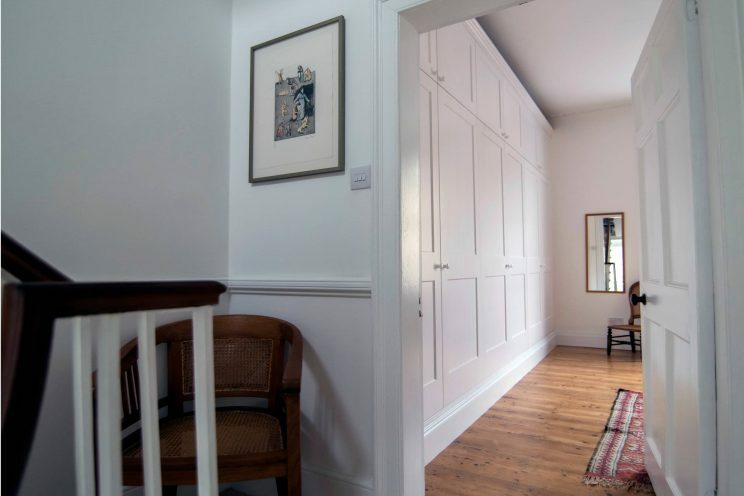 The room has lovely high ceilings and windows and our cornicing was inspired by the existing cornicing in this room. We also manufactured a bespoke skirting profile to match the original skirting boards. The bespoke white fitted wardrobes incorporated hanging rails, shoe storage and soft-closing doors. 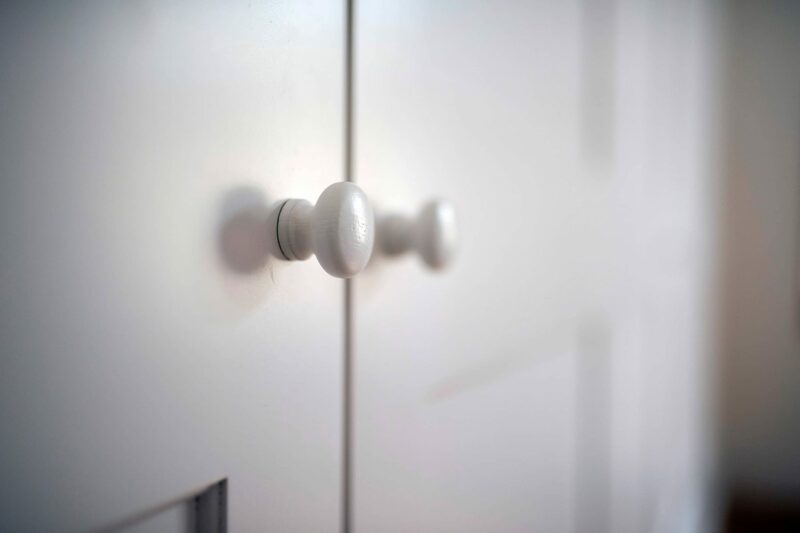 All of our work was finished with a white eggshell paint— applied here in our workshops before fitting on site.